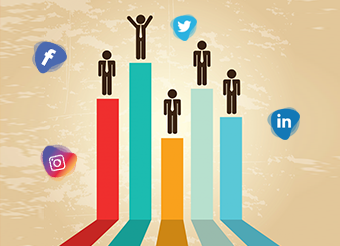 The first and foremost step towards the creation of a competitive social media strategy is finding the right competitors. You need to find businesses that are similar to that of your irrespective of its size. Size of the business does not have anything to do with the social media marketing strategy as it is the content that matters. Social profiles and pages do have a role in deciding the success of a social media strategy. Most of the social profiles provide less than 200 characters to describe your business to the first time page visitors. Have a look at how wisely the competitors have used those 200 characters. Analyze their keywords usage (if any). At the same time, irrespective of the competitors, make sure you include URL of your website in all those social media profiles possible. Take a close look at the type of content your competitors share. Also, note the kind of response they receive from the people. The content could be updated, news update or anything related to products and services. Pick their content that gets the most engagement and this can help you in deciding the best content to be posted. Uncovering your competitors’ social media strategies at the beginning of your profile creation will not suffice. You need to monitor them on a regular basis to know the updates that they make in their strategies and the type of response that they receive for the same. So, start uncovering the strategies! Next Next post: How to Optimize Your Google My Business Listing?